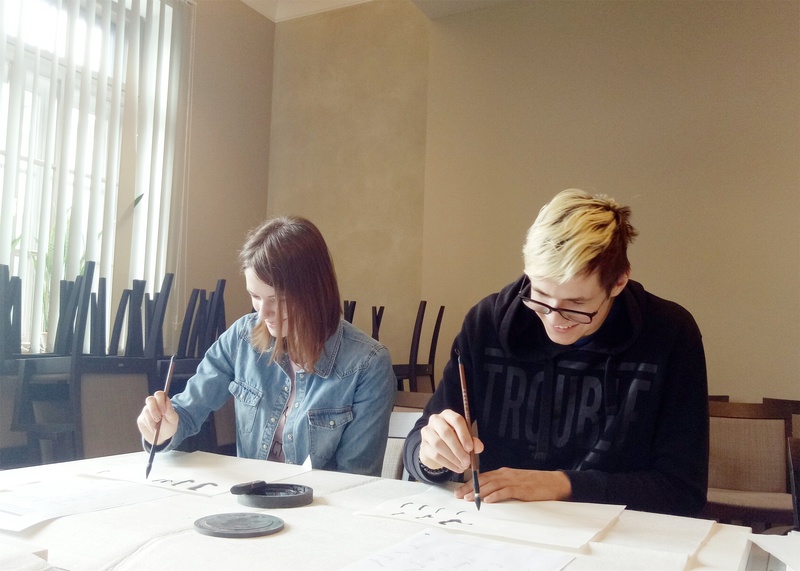 Latvia Local time at 12:00 on April 6 ,2018,”Information Day” activity in Confucius Classroom at Rezekne Academy of Technologies began，which attracted a large number of teachers , students and the local people to participate. 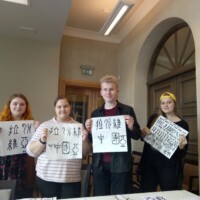 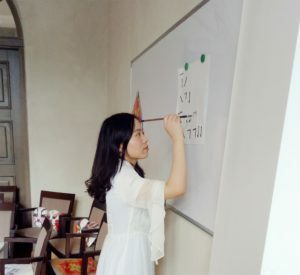 Before the activity started,the Chinese teacher asked the audience their views of Chinese characters, some people said that Chinese characters are quite different from the phonography used in most Western countries, which looks like a bit difficult, just as an art. 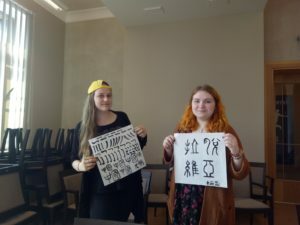 The Chinese teacher told them that if they listen to the following lecture carefully, they would have a different view about Chinese characters.She explained that the origin and meaning of Chinese characters,which are ideographic characters only existed now, and then the development and change of Chinese characters, so that the audience had a better understanding about Chinese characters.Then she explained the Seal, the Official, the Regular, the Cursive, the Running hand this five scripts,which can not only show the shapes of Chinese characters but also the beauty of calligraphy. 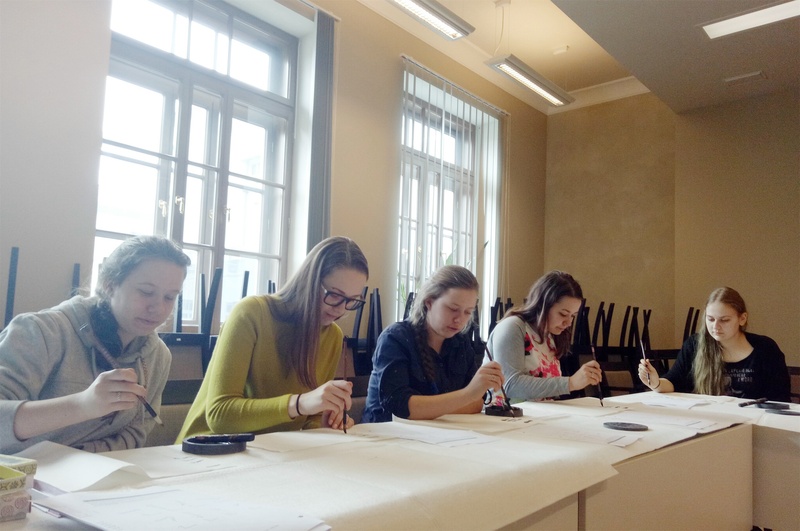 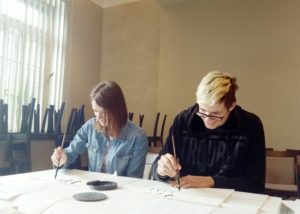 In the introduction to “four treasures of the study”, she began to demonstrate to the audience how to write calligraphy , ” Latvia “and ” China “in the Official, and taught them to practice patiently. After more than a week of planning and preparation, “Information Day” activity in Rezekne Confucius Classroom came to an end successfully. 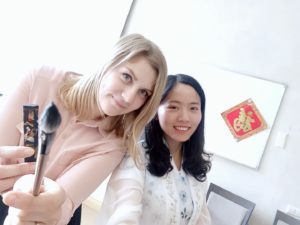 Thanks to Confucius Institute at University of Latvia ,Continuing Education Centre in Rezekne Academy of Technologies and Margarita,only with their support and assistance can this event be a success.This event really reflects that the local people in Rezekne appreciate Chinese culture, they expressed thanks and praise to the Chinese teachers after the event, and hoped there will be more Chinese cultural activities, which can help them have a better understanding about the deep foundation of Chinese culture.